Suggestions for a music playlist for my online yoga, meditation and relaxation practice. Recently I was asked about having music alongside our yoga, meditation and relaxation classes and recommended suggestions for music playlists for yoga classes. I like to play music in my face to face yoga classes and I’m sure a lot of you will enjoy having music with your practice. 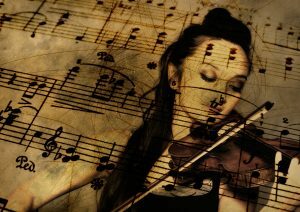 Music allows our minds to tune into the yoga practice and gives us something to focus on. I find it helps me to move into a deeper yoga practice. I have two ways you can do this using a tablet, laptop or PC to watch your yoga classes. Both have really relaxing music that will work with your brain and nervous system to help bring you into a calm and balanced place in your practice. You will have to do a little more for this. You will need to open up a Spotify Account. (Spotify has all sorts of music on it – you can become a free member and listen to playlists and music that people have put together or just choose albums/genres of music etc). Head over to the Yoga Journal Public playlists and choose what mood you’re in and what type of class you like. They have playlists of songs that you can play alongside the yoga classes. 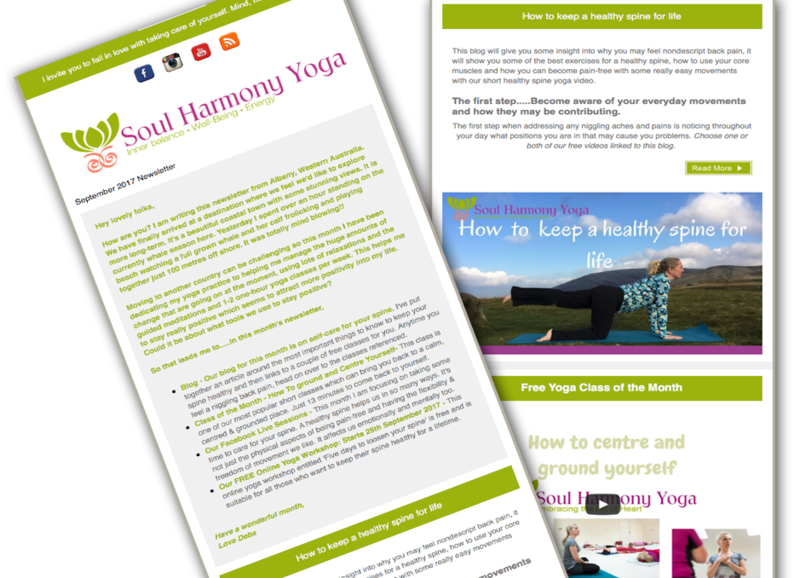 Once you start to play your music just switch back to Soul Harmony Yoga and play your class. It should play both for you. I use a Mac or Ipad and it plays both on there. Let me know how you go and post any good music you like on the Soul Harmony Yoga Facebook Page so we can all have a listen. If you click on the image on this post you’ll find some lovely music. If you feel like you can relate to my blogs and my style of teaching and would like to try out our classes I’ve created a four course Free Home Yoga Taster Classes so you can get a feel for my style of teaching. It is so important that you find a yoga style that suits what you are looking for rather than you trying to fit into something that doesn’t feel quite right. Do you want a yoga class which is more physical exercise, specific alignment classes or a more holistic practice of the physical, relaxation and meditation together? Notice how you feel about the teacher of the classes – are they suited to what you are looking for. Check out our classes and see how they suit you. Where can you fit yoga into your weekly life and what do you need to help you do this – a class that you can attend or a more personal practice using online materials at home? Until then happy yoga journeying and I wish you all the best.